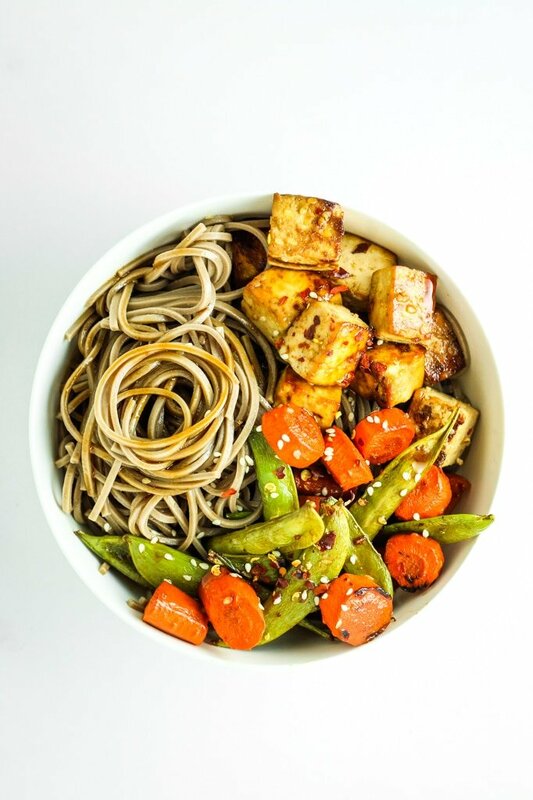 This vegan meal prep roundup has it all! From burrito bowls and lettuce wraps to breakfast burritos and jar salads. A few side dish ideas are included at the bottom – they’re perfect for adding to your favorite grain + protein combo! 1. 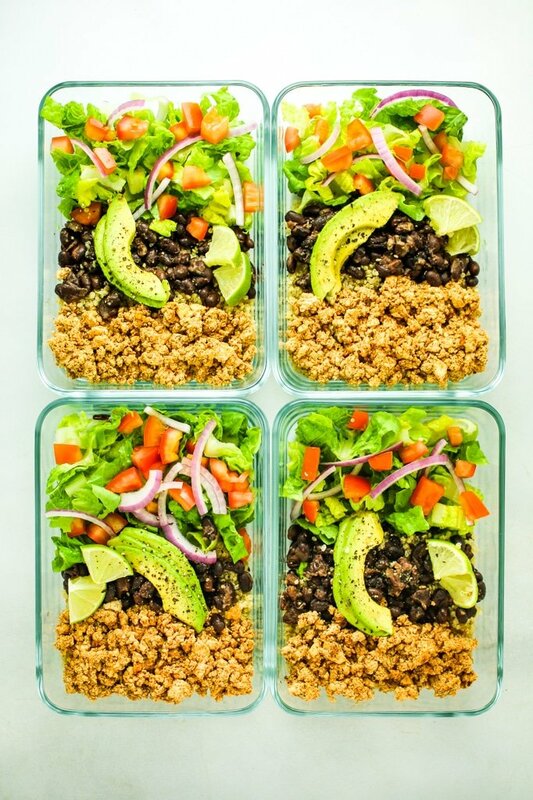 Tofu Burrito Bowl Meal Prep – 20 minutes! 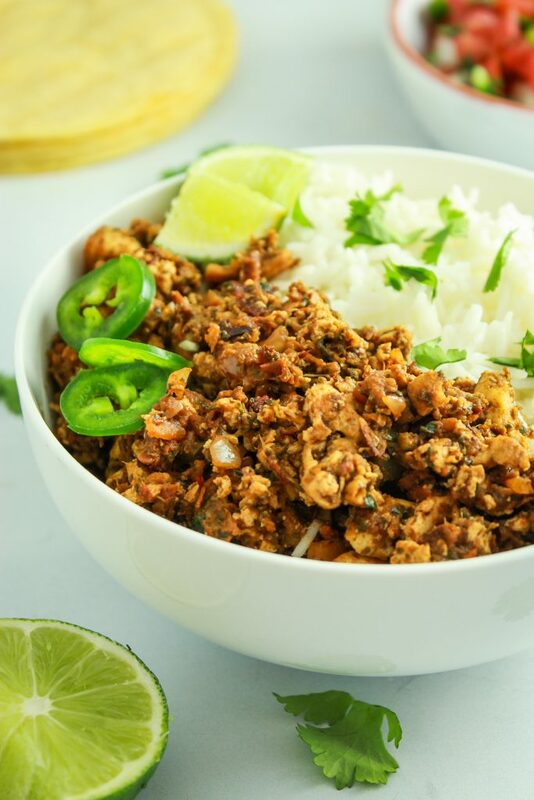 This Mexican-spiced tofu taco “meat” is perfect for bowls, tacos, and burritos. 2. Mason Jar Salad with Kalamata Dressing – 20 minutes! 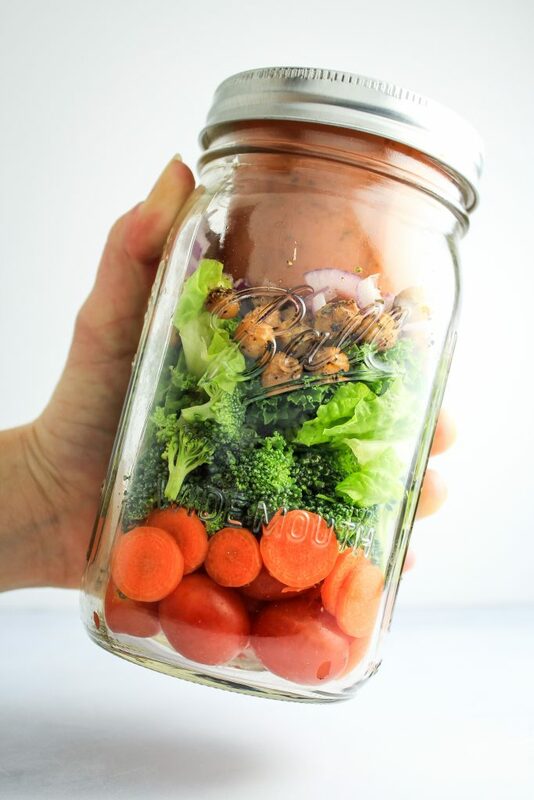 Layer your favorite veggies, greens, and crunchy chickpeas in a large mason jar for an easy, portable lunch. The homemade kalamata dressing is creamy and healthy! 3. 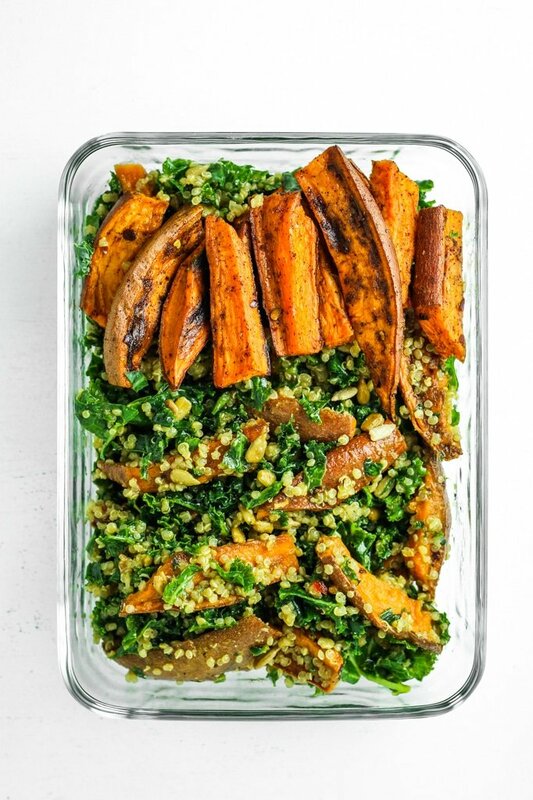 Sweet Potato Quinoa Kale Salad – 40 minutes! Super filling lunch with SO much flavor. The tahini dressing is next level. 4. 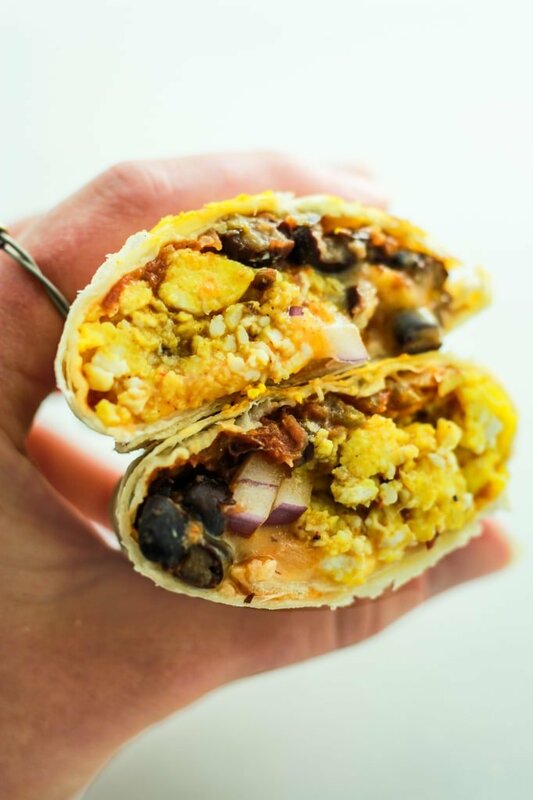 Freezer Friendly Breakfast Burritos – 25 minutes! Stuffed with seasoned tofu, black beans, and salsa, these are a delicious on-the-go breakfast. 5. 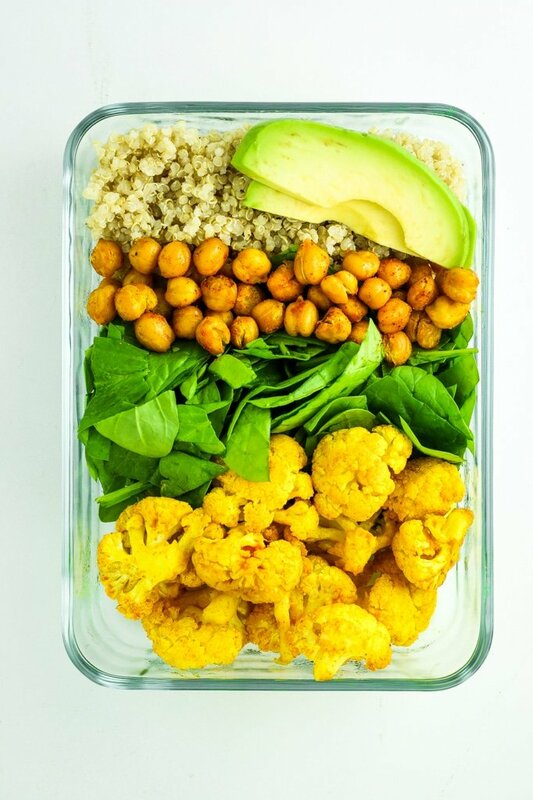 Turmeric Cauliflower Quinoa Meal Prep Bowls – 35 minutes! Tons of protein, fiber, and health benefits in these bowls. 6. Sheet Pan Tofu Stir Fry – 40 minutes. One sheet pan. Swap out the veggies for whatever you prefer/have on hand! 7. 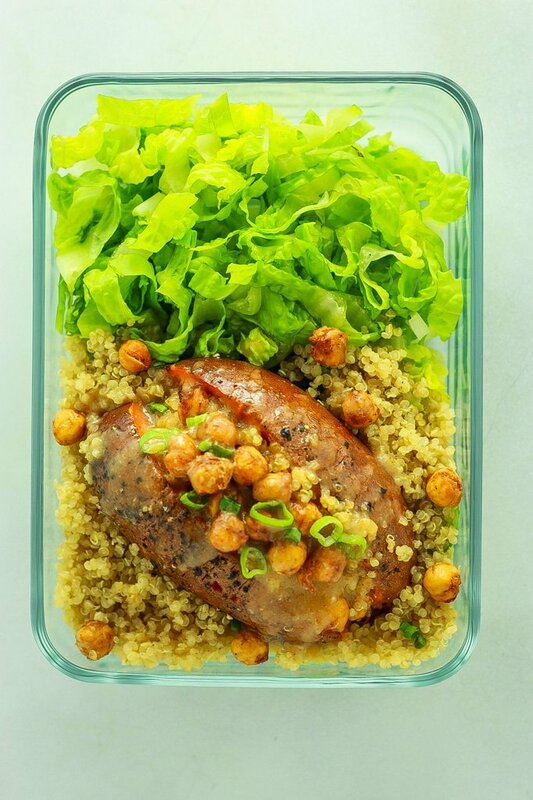 Miso Quinoa Stuffed Sweet Potatoes – 1 hour! These roasted potatoes are loaded with seasoned chickpeas and topped with a crazy-good miso sauce. 8. 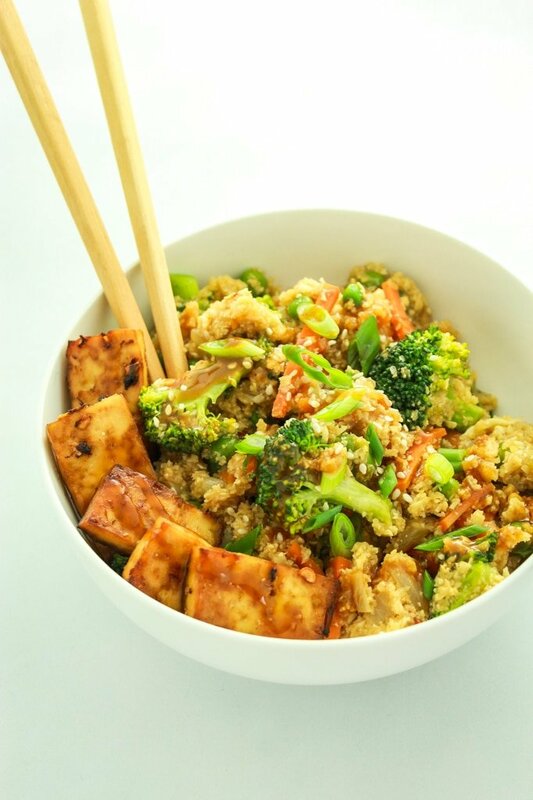 20 Minute Cauliflower Rice Stir Fry – 20 minutes! (obviously!) This is stir fry heaven and it’s light on carbs. 9. Spicy Vegan Sofritas – 30 minutes! Better than chipotle and oh-so-easy to make. 10. 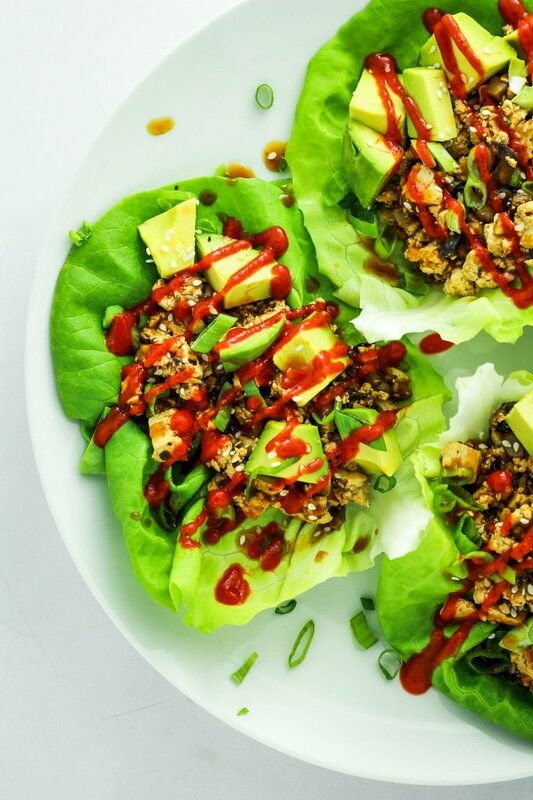 Spicy Tofu Mushroom Lettuce Wraps – 20 minutes! The filling is perfect in lettuce wraps or tortillas. 11. 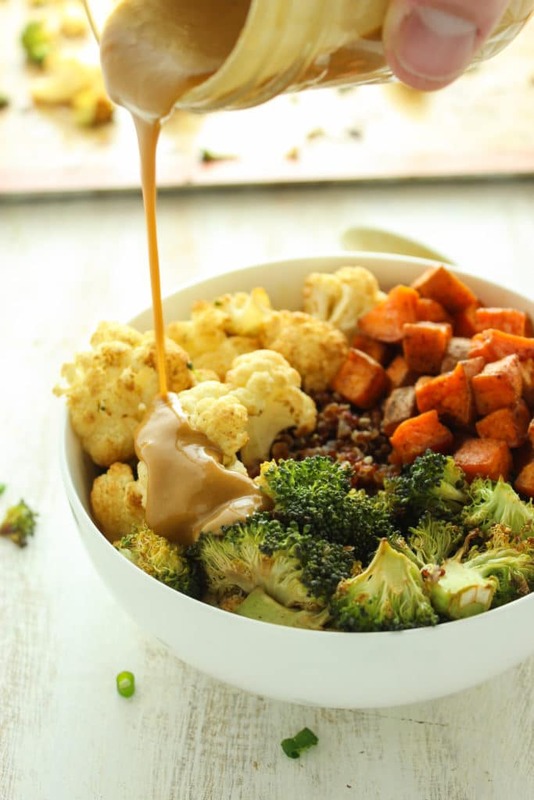 Sweet Potato Cauliflower Quinoa Bowls – 30 to 40 minutes! This is one of the most popular meal prep recipes on the blog! 12. 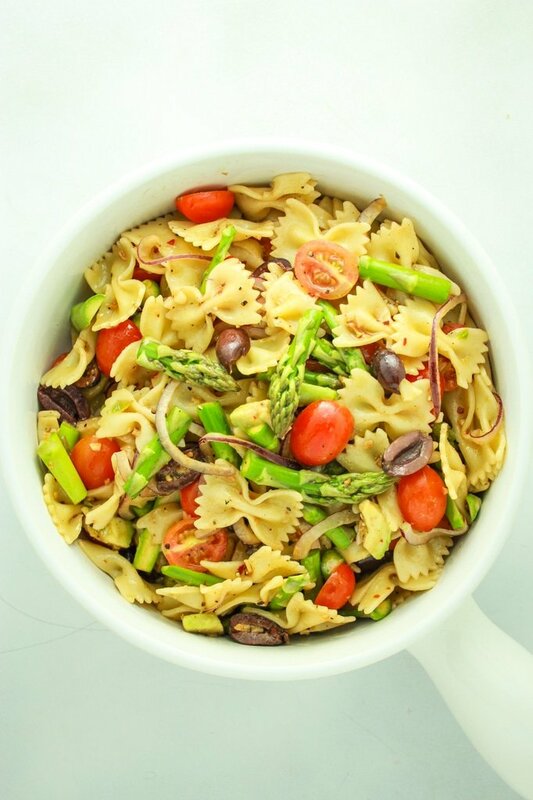 Vegan Italian Pasta Salad – 15 minutes! This pasta salad is so easy to make and it’s good hot or cold. 13. 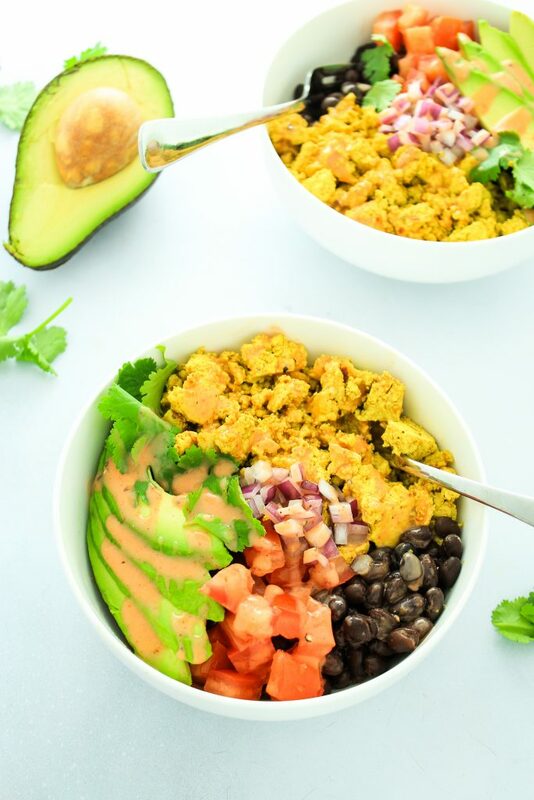 Southwest Tofu Breakfast Bowls – 20 minutes! Another great breakfast option! Everything can be prepped ahead except the avocado. 14. 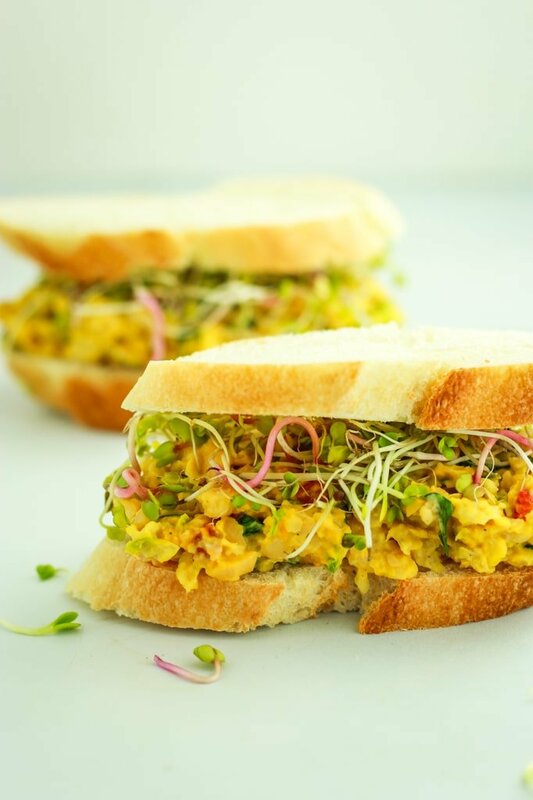 Chickpea Salad Sandwiches – 5 to 10 minutes! The chickpea salad is great in sandwiches, lettuce wraps, tortillas, or bowls! 15. Herbed Cauliflower Meatballs – 55 minutes! These little “meat”balls pack a powerful protein and fiber punch. Good over pasta or veggie noodles, or as a snack! 16. 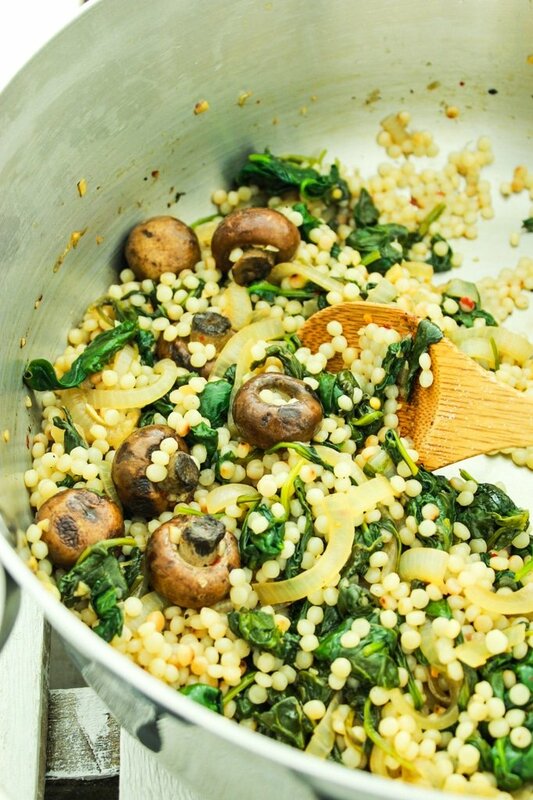 Israeli Couscous with Mushrooms and Spinach – 20 minutes! This is an awesome side – just add your favorite protein. 17. 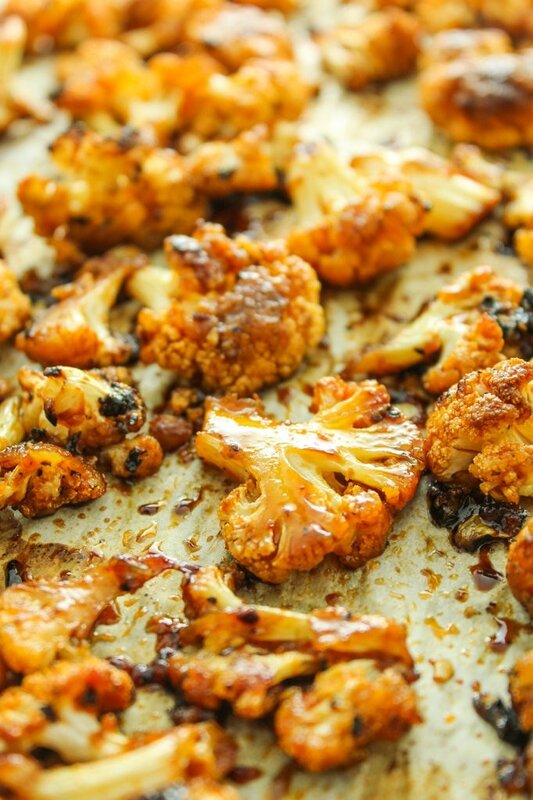 Sweet and Spicy Roasted Cauliflower – 35 minutes! This is one of the most popular recipes we’ve ever shared. I love to serve over quinoa or rice! Also great with zucchini noodles. 18. 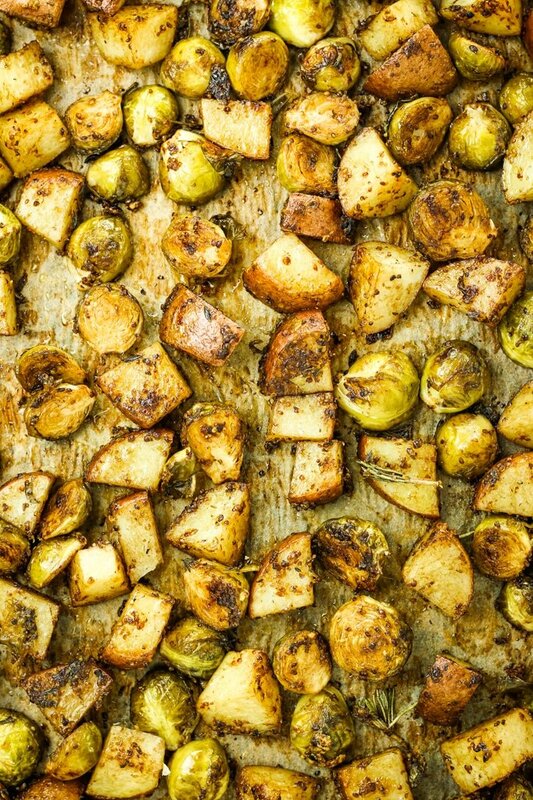 Honey Balsamic Brussels Sprouts and Potatoes – 45 to 50 minutes! This is a great side dish to serve over quinoa + greens. The flavor combo is AMAZING. 19. 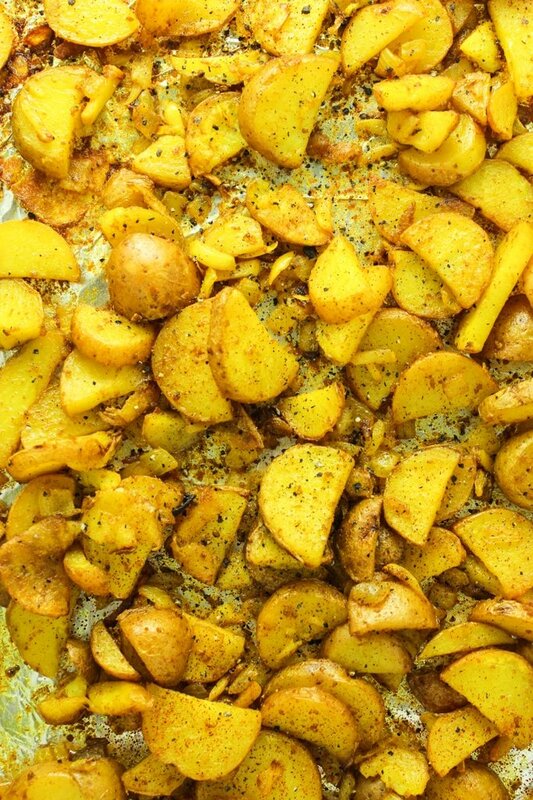 Crispy Turmeric Roasted Potatoes – 35 minutes! These add a nice dose of anti-inflammatory turmeric to your lunch! 20. 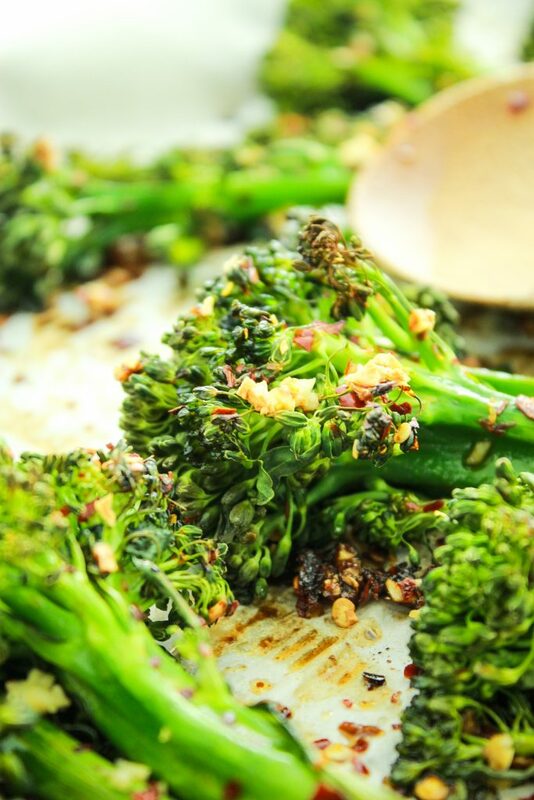 Easy Garlic Roasted Broccolini – 20 minutes! One of the easiest sides EVER – serve over your favorite grain with protein of choice! 21. 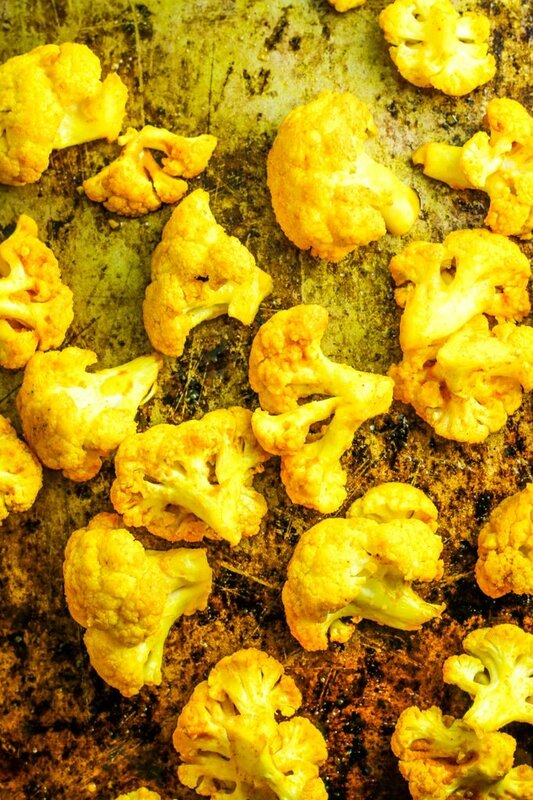 Turmeric Roasted Cauliflower – 35 minutes! Another awesome recipe for adding turmeric to your diet. 22. 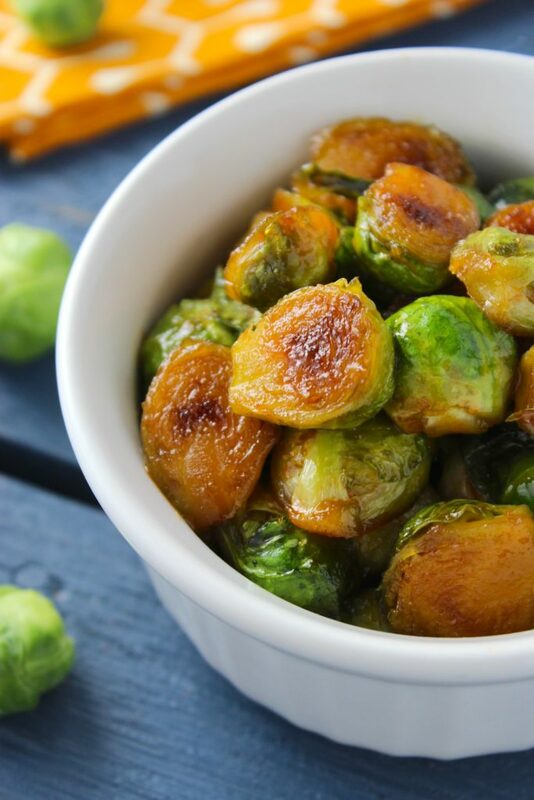 Sweet and Spicy Sriracha Brussels Sprouts – 20 minutes! These brussels sprouts are CRACK. You will make this recipe again and again. 23. 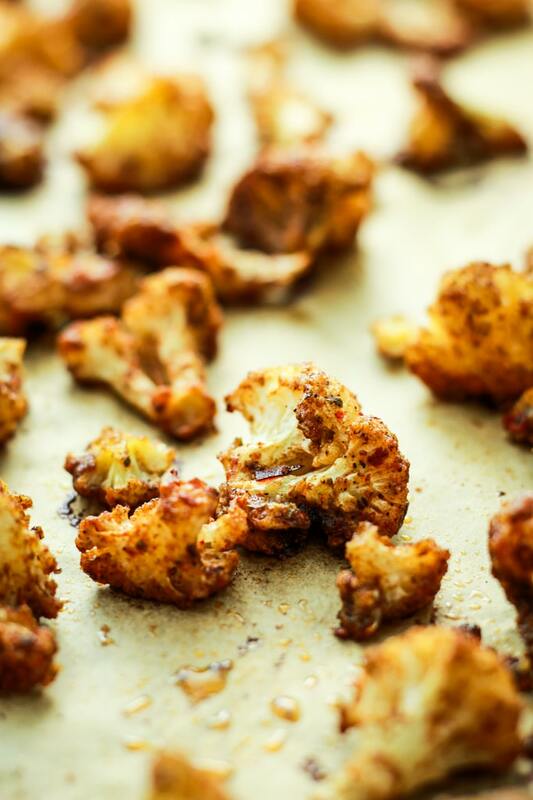 Jerk Roasted Cauliflower – 25 minutes! Serve in tortillas, lettuce wraps, or over greens! This is the perfect recipe for adding a little spice to your life! 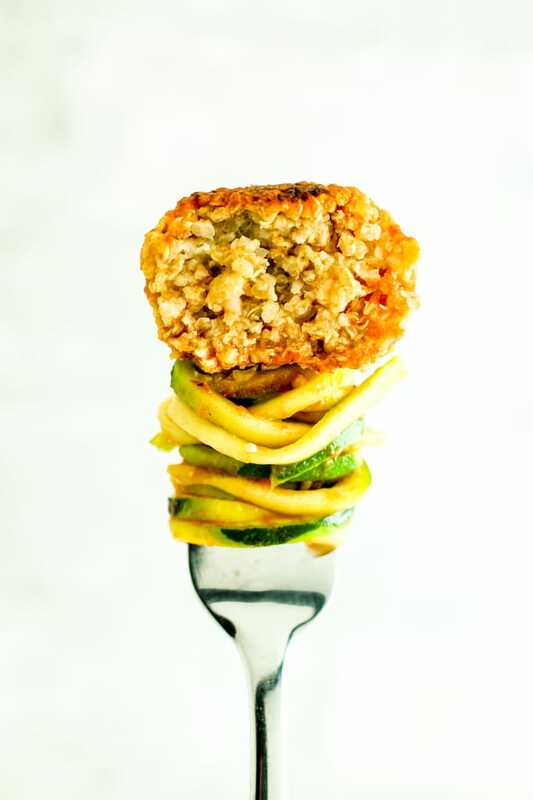 There is a vegan option provided within the Cauliflower Meatball recipe notes. I just added a secondary note next to the eggs in the ingredient list to clear up any confusion. So good to have it all in one place. I have tried “Miso Quinoa Stuffed Sweet Potatoes”. And it was really delicious. Thanks for sharing the amazing recipe. Thank you for putting together this awesome list of recipes to help with making complete meals! Yay! I hope you guys really enjoy some of these options. :) You are so welcome!